Sometimes the launch of a product directly coincides with something happening relevant in culture. 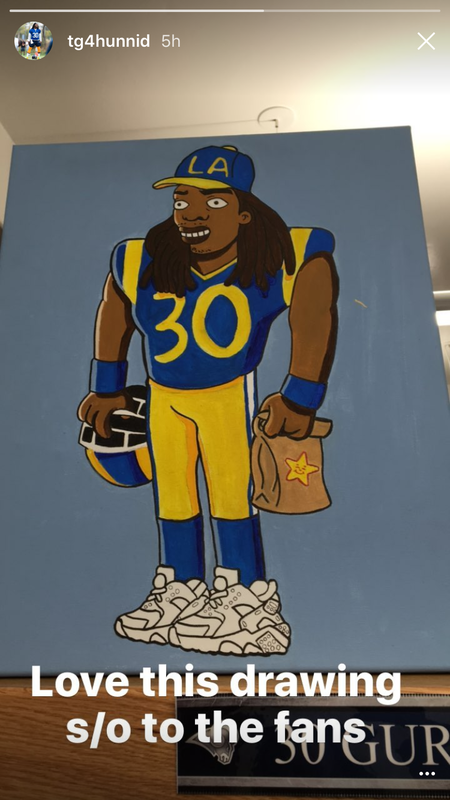 In this case, the launch of the California Classic Double Cheeseburger with the California arrival of NFL running back phenom of the new Los Angeles Rams, Todd Gurley. The campaign includes launch TV, a #ToddGurleyTakeover on Instagram, and influencer + owned channel social engagement. It generated loads of media, lots of fan love, and resulted in helping Carl's Jr. surpass it's sales goals.